Africa’s prestigious football tournament’s 2012 draw conducted last Saturday in DR Congo southern city of Lubumbashi has drawn interesting reactions. 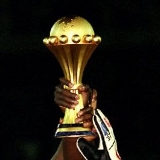 The 2012 Africa Cup of Nations will be the second time the competition is being co-hosted. With Equatorial Guinea and Gabon already qualified, the draw offers some tough challenges to all teams involved. The first was in 2000 by Nigeria and Ghana after the Confederation of African Football (CAF) withdrew the bid by Zimbabwe to host the competition. The 44 teams, drawn into 11 groups of four teams each, will fight for 14 slots in the final of the tournament. Following is a sample of comments from various national coach’s and predictions. Current Warriors coach Sunday Chidzambwa says Zimbabwe will have to roll-up their sleeves if they entertain any hopes of qualifying. "It’s a tough draw. Mali have been to this tournament on a number of occasions. Besides that, in football there are no more small teams. Any team that underestimates the strength of its opponent will do so at their own peril. Everyone in this group has a chance to make it to the finals. So we have to work very hard for us to go through but let’s just say the draw is better than it could have been." Chidzambwa led Zimbabwe to its maiden appearance at the Tunisia finals in 2004. Mali boast an intimidating record of six appearances at the tournament while Liberia and Zimbabwe have featured at the tourney just two times each. Cape Verde are also tricky customers who could derail the Warriors campaign in the tournament. Zimbabwe has never played Liberia and Cape Verde. Zambia describes the draw as "relatively easy". National soccer team assistant coach, George Lwandamina, however, says adequate preparations were the only key to Zambia’s destiny. "All draws are fair. There are no easy or difficult draws, all teams stand equal chances of qualifying. On paper, the draws seem to favour Zambia, but in modern football there is no big or small team", he said. But this is a very tricky group for the top three teams, Comoros excluded. Resurgent Mozambique could push Zambia all the way. A heavyweight clash between current holders Egypt and South Africa is the highlight of this group. The Pharaohs are expecting to sail though. South Africa failed to make it to Angola and they have to fight it out with Sierra Leone. Head coach Ephraim Mashaba has little hope for his charges to make any meaningful impact in search of a first appearance. He is quoted saying, "We have to be honest here; the draw is a very serious one, because we are facing teams that have good history in the game. Ghana were unfortunate to lose in the finals in Angola. Congo is also a good side, you also can’t undermine Sudan as a football team," he said. Diamond rich Botswana have a daunting task in their quest to qualify for the 2012 finals after they were drawn in a tough group that includes former champions, Tunisia. Botswana will have to outclass Tunisia, Malawi and Chad to top the group. But it is not the first time that that Botswana will face Tunisia and Malawi after a similar draw in the 2006 qualifiers. Reacting to the draw, Zebras’ coach, Stanley Tshosane told the local media that qualifying is their top priority. "We have been participating in the qualifiers for sometime. Now our intention is to make it to the finals. We have to address issues that have been hindering our qualification," Tshosane said. • Botswana diamond sector wage disparity favours South Africans?